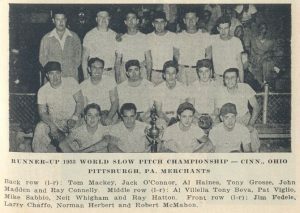 1953 held at Cincinnati, Ohio. Shields beat Merchants 13-12 in winners bracket finals, Myron Reinhardt was 4-5, HR, double, 4 RBIs. 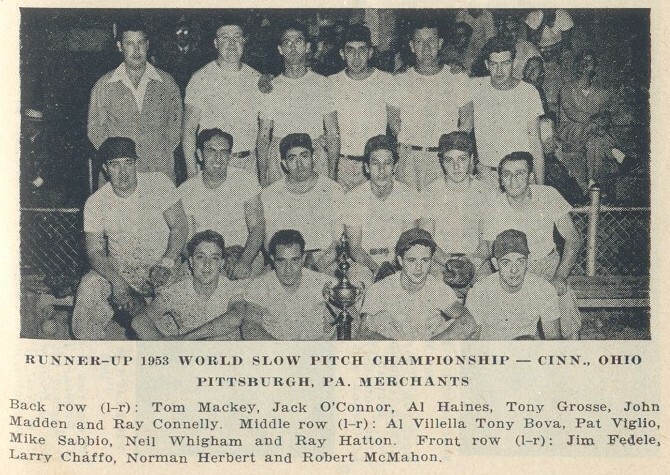 Also leading Shields attack were Ted Stegeman (3-5, 3 doubles), John Henry (3-5), Al Rinehard (3-5, HR, 2B and 4 RBIs) and Don Heilman (double, triple, 3 RBIs). The Merchants came back and beat Wolfs Cafe of Cincinnati 6-1 in the losers bracket final to get another crack at the Kentucky squad. Sheilds then beat Pittsburgh 13-1 in the Championship game. 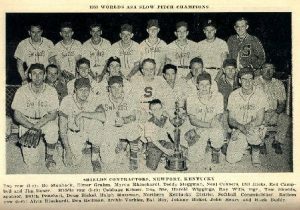 Myron Reinhardt’s HR and 4 RBIs led the way for Shields to capture the very first ASA Slow Pitch National Championship. Shields pitcher Roland Vorhees gave up only 5 hits and one run. 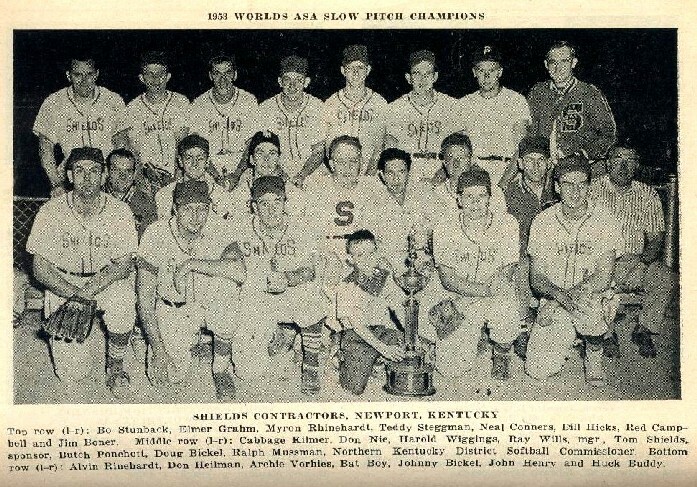 Al Rinehard (2 Doubles) and Bo Stuntebeck each had three hits in the title clincher. Most of the teams entered were from the Ohio River Valley and Northern Kentucky. For the Merchants, Mike Sabbio was 4-8 with a HR and 3 RBIs in the final two games Pittsburgh played, both losses to Shields.